Altbier is an old world German beer style that was around before lagers were discovered. It has beautifully clear golden amber color with a malty aroma. The flavor has a pronounced bitterness followed by a complex malt richness that comes off nutty and slightly roasted. It’s a cool fermented ale that has crisp lager-like characteristics. 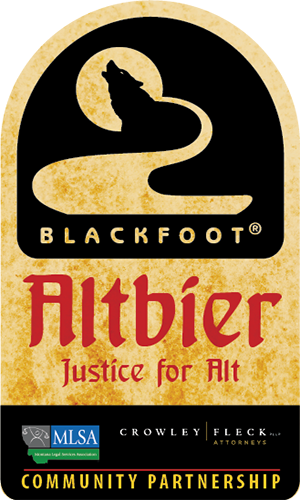 This Alt Bier was brewed as part of our Community Partnership Program with Montana Legal Services and Crowley Fleck Attorneys.